Enterprise Systems Management is concerned with control, monitoring and the management of IT infrastructure and applications in order to optimise IT service delivery. It’s been around for a number of years and came into existence as a direct result of the almost universal adoption of distributed network computing and the new set of management challenges this created. 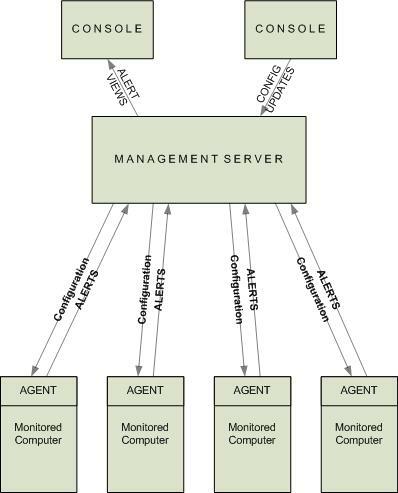 ESM is essentially based on a marriage between remote monitoring and configuration techniques originally developed for distributed networks and control and management practices borrowed from mainframe and midrange computing environments. A well-designed and properly-implemented ESM solution allows IT personnel to support and manage a larger, more complex and more geographically-dispersed IT infrastructure than would otherwise be the case. This is achieved primarily through automation of monitoring tasks which would otherwise require periodic manual checks of every system to ensure that the network devices, servers and applications used by an organisation were functioning properly. Automated notification of detected faults allows personnel to rely on the ESM systems to tell them when there is a problem that requires their attention, enabling them to use their time more productively on project delivery and other “value add” activities. In some cases it is possible to delegate the resolution, as well as detection, of problems to the ESM systems, providing further opportunities for efficiency savings. Performance monitoring, tuning and capacity management techniques – again borrowed from larger host-based computing environments – also fall under the “ESM” banner. Other activities such as job scheduling, software distribution, IT inventory management and data backup/restore may be included in a wider definition of ESM depending on the particular requirements, culture and structure of an organisation. In recent years, ESM has evolved from a primarily technology-centric to an increasingly service-centric discipline, as organisations embrace IT Service Management (ITSM) in the drive to deliver continued competitive advantage through technology. The emergence of ITSM best practice frameworks such as ITIL has prompted a paradigm shift in which the “traditional” ESM disciplines of network, server and application monitoring, performance tuning and capacity management have become components of a more holistic, business process-aligned effort to maximise IT service quality, availability and continuity. It is becoming increasingly common to see ESM being used as an enabler for ITSM by providing better visibility of the availability and quality of IT services delivered via IT infrastructure and applications. As globalisation and the rise of the Internet dictate ever-increasing increasing reliance on technology to remain competitive, ESM is becoming an essential aspect of organisations’ IT activities and a large number of products from many vendors are now available to support implementation of solutions to support their requirements in this field. Many companies’ ESM environments consist of isolated solutions which may monitor the health and performance of servers, networks, websites and so on reasonably effectively, but fail to provide an overall view of the health of the IT services used by the business to go about their daily activities. We can provide best practice insights into your existing IT processes, the data they employ and the applications supporting them. We help you produce an architecture, deployment plan and technology recommendations that supports your business needs from immediate tactical benefits towards a fully integrated ESM environment. We work to ensure our customers reap the significant benefits which can be provided by ESM solutions if the right tools are selected and implemented properly in line with real requirements according to established IT best practice. We deliver an ESM solution precisely tailored to each customer’s specific requirements, leveraging existing tools wherever possible or based on the most suitable products selected from the ESM marketplace – a marketplace which we know inside out. It is rare these days to find an organisation which has no ESM capability whatsoever and, even the smallest company may have some basic monitoring or performance management systems already in place. However, irrespective of whether you have nothing, or are just starting out or have already invested extensively in ESM solutions don’t worry – the service offering is aimed at all companies regardless of their current level of ESM capability. We begin with an analysis of the client’s business activities, organisational structure and IT systems. We look in detail at existing ESM activities undertaken by various teams within the organisation, including identification of any existing processes whether formal or de-facto, documented or undocumented. The purpose of the analysis is to allow us to generate the ‘ESM Big Picture’ which is fully characterises the client’s current ESM setup. It shows business processes, applications associated with these and the infrastructure elements that support them. The main purpose of the ‘big picture’ is to show the client how they are currently set up and forms the basis for mapping the changes to the current working practices which may be required in order to assist the company migrate to a new ESM strategy. The company can see the amount of effort it requires to undertake, the underlying benefits if it does and the tools they need to fully manage applications and their underlying infrastructure from a business perspective, increasing performance and availability while helping to reduce costs. Design the new ESM functional architecture. In this instance ESM systems tend to have grown up in a fragmented fashion over a period of time. Different teams and/or silos have implemented vendor-supplied or home grown solutions to satisfy their own requirements. Functionality is not always consistent across silos/departments and there may be little or no integration between the various tools and/or correlation of the information generated by them. There may also not be a clear ownership of or accountability for ESM and processes around ESM are inconsistent or absent altogether. Work with client to define “target mode of operation” for ESM and define any replacement or new processes, roles & responsibilities to deliver this. We would also include linkages or enhancements to other IT processes e.g. Change Management, Release Management, Operational Acceptance, Application Development Lifecycle, Datacentre Installation etc. Design overall functional and technical architecture for ESM and identify required product integrations. In this instance companies face an inflated cost of ownership due to; requirements to maintain diverse range of skills within organisation, higher overall support contract costs with numerous individual vendors, increased complexity and product integration overhead within ESM architecture. This results in a higher unit cost for new product acquisition due to reduced supplier leverage as well as inconsistent monitoring functionality across platforms supported by groups using different tools. Incident troubleshooting may be more difficult due to different tools across service delivery infrastructure. Present and agree proposed product selection(s) and architecture with stakeholders to get their buy-in. Such organisations have probably been doing ESM for a while and have good coverage at the component level (network, servers, databases, webservers, storage etc) but lack the visibility of end-to-end application and service availability and performance. There is likely to be a dedicated ESM organisation working to defined processes and agreed service levels; alternatively ESM accountability and activities may be distributed across a number of teams (e.g. server support, DBAs, Network ops). Typically, organisations in this position need to extend their ESM capabilities to provide monitoring and reporting for end to end applications and IT services delivered to the business. They will have evolved their overall IT operation to the point where they have started, or are contemplating adoption of IT Service Management in order to optimise IT service delivery. To assist in this process, we would align with any ITSM programme being undertaken and identify the additional functional requirements associated with new processes being implemented within the IT organisation. If there is existing data and/or documentation of business processes and the end-to-end applications which support execution of these, these can be used to build up metadata defining the relationships between components, applications and services (this is one of the cornerstones of ITSM; ITIL prescribes the enshrining of these in a configuration management database or CMDB). Alternatively it may be necessary to undertake some business process analysis to help in the definition of these CMDB relationships. There are many other possible scenarios and whatever you current ESM Capability we tailor our service to create a comprehensive solution to meet your specific business requirements. We are experts in translating strategic ESM business requirements into a technical specification. This is a document which defines the specific ESM technical requirements based on the solution we would have designed and the new working practices. 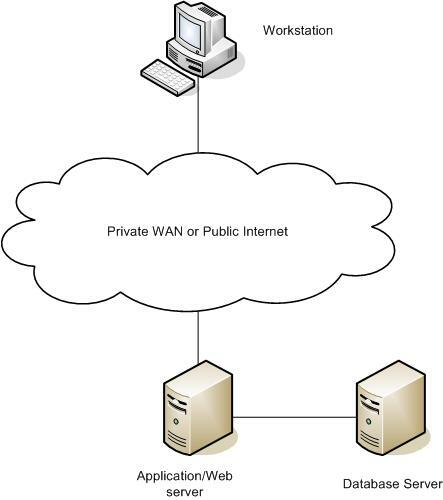 Network inventory and configuration management. Application performance troubleshooting and optimisation. Application governance – ensuring applications perform in line with SLA when released and on an ongoing basis throughout their lifetime. The deliverable is a detailed design specification which includes the new ESM big picture alongside specific requirements describing the new processes the workflow and data flows. Others – we are constantly reviewing the latest in ESM technologies. We usually go through a two stage approach filtering out in appropriate solutions and allowing 3 potential suppliers to show us how they would map your requirements to their technology and how it will deliver the benefits sought. We help you put together a selection criteria around areas such as, the company and it’s background, it’s financial stability, the technologies they use (are the appropriate the latest etc. ), where have they done similar projects before & are they referenceable, how well their solution meets your functional and technical requirements, What are the implementation costs, and the 5 year overall costs. We also review the SLA’s to make sure they provide the support your business needs? We can also help negotiate contracts to get you the best deal. ESM projects are prone to failure because they are not managed correctly and this results in the supplier delivering s solution that ‘looks pretty’ but does not actually do what you wanted it to do. No company buys an ESM solution for its own sake. Companies buy the benefits which improved technology can bring. There is no return to be had on investing in software while preserving the status quo. There are significant “transition” issues for which the supplier will not responsible. This includes ensuring that your staff are trained and ready to start new working practices on a given date, and finding a way to initialise the system without stopping business operations. These are the things that a company must do internally to be ready for the new system and hence there are a number of tasks which need to be undertaken, on top of those contracted to the supplier. We help you setup an appropriate internal project team and facilitate the delivery of the new solution and its benefits. The supplier is contracted to provide a configured solution. They will provide a project manager to ensure that their tasks remain on time and budget. However, the supplier is not responsible for organising your staff who will have a long list of tasks which they must complete (these include developing, testing, migration planning and training to the end users. Responsibility for ensuring that these tasks are scheduled correctly and completed on time is the company’s. We put in place project governance and a project manager who will be responsible for managing the day to running of the project both externally, with the supplier responsible for assessing the risks inherent in any project. Actions can be taken to reduce and mitigate risk. However, many of these actions cost money, reduce the benefits accruing from the project or have other downsides. It is the project manager’s job to ensure that a sensible balance is maintained in the risk profile of the project. We create the internal project plan detailing all of the tasks which must be carried out, who is responsible for each, what needs to be done, by when and in what format the output needs to be. The Supplier will expect a single contact-point in your project team who can give them rapid and clear answers to questions that arise during the construction of the solution. It is inevitable that issues and questions will arise when an idea is fully thought through, and this thinking will be happening right up to delivery of the solution. We manage this interaction. Our technical consultant and project manager will closely monitor the supplier during the design and build stages and will be the main point of contact to address all process and/or technical questions from their project manager and their developers. This is a key stage in the project as if the design and build do not exactly replicate the ESM requirements, then the supplier will deliver a solution that meets only a few of your project objectives. Once the supplier has built the solution they will send it over to you for final testing. You need to test it to make sure that it does ‘what it says on the tin’. Hence it is very important that your project team fully test the solution before they rely on it. This is an onerous task – every feature in the solution needs to be tested with example data, including situations which may arise only rarely. Tests are required to ensure that some things don’t work. We assist you in creating test scripts for all process and situation eventualities, we will assist in setting up the testing environment, we will facilitate the testing of the system by the internal project team. We will be able to identify whether a problem found is due to the business process or a bug in the solution. We will then be able to go back to the supplier and explain the problem and get them to fix it. The supplier will provide training in the use of their solution. But this only trains people on the mechanics of how the solution is setup. The supplier has an incomplete understanding, at best, of the conventions of your new ESM strategy and how the solution works to attain that strategy. Training in the use of the solution needs to be given simultaneously with a description of changes in working practices. These changes are often politically sensitive and have to be presented carefully. We help your project team put together a training plan. We would recommend that the key project members are fully trained on the system and train the other individuals who will use the system, this allows your company to share the knowledge of the system between many and be responsible for training others. There are always problems that arise on the days before and after go-live. Very often, tasks in the last few days in the project overrun and contingency plans have to be put in place to allow the system to go live without all the pieces of the jigsaw in place. There are always users who have forgotten their training or who find an unusual situation that wasn’t addressed. This phase often coincides with the supplier handing over the project from development to support teams, which can raise problems of its own. We will be on hand with the key project team to ensure the smooth transition to the new system and to deal with any problems that arise. Following implementation and handover of the ESM solution but before project closure we will conduct a post implementation review (PIR) to verify that the project has done what it set out to do, i.e. that all the objectives have been met and that each identified requirement has been satisfied. The PIR is the final activity in the quality management process which goes on throughout the project’s lifetime. 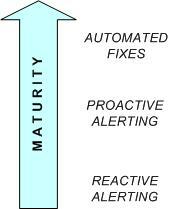 As many of the benefits of ESM solutions are realised over time after implementation, we will help customers define ESM key performance indicators (KPIs) and develop data capture and reporting mechanisms – often as part of the solution itself – that will allow the improvements in IT service availability and quality following project completion to be measured. ESM is now seen as a business critical area which allows IT departments to better serve the other functional elements of a business. Feathered Owl Technology has a thorough understanding of the ESM marketplace and has strong relationships with leading vendors. Our In-depth understanding of IT infrastructure, operations and support and real-world experience of IT Service Management and the use of ESM to support its adoption, allows us to create a comprehensive ESM strategy tailored to a company’s individual needs. Unlike other consulting firms who are only technology focussed, we are business focussed and look at creating working practices that have a direct impact on a company’s bottom line. Irrespective of a company’s size, business sector, we have many years’ experience of ESM and a comprehensive knowledge of the ESM marketplace – we really have “been there and done it”. We offer a free, no obligation ESM “healthcheck” during which we will conduct an initial audit of any existing ESM tools and processes, carry out initial requirements analysis and suggest ways in which your organisation’s ESM capability can be enhanced to improve IT service quality and deliver lasting benefit to the business. To find out how we can help you with your ESM needs or to arrange a healthcheck, contact us via the Feathered Owl Technology website. Enterprise Systems Management (ESM) is concerned with control, monitoring and the management of IT infrastructure and applications in order to optimise IT service delivery. “I.T. Service Management”; “Business Service Management”; “ITIL”. It would be very surprising indeed if you haven’t encountered at least one of these terms in the last 12 months, or received a call from a salesperson trying to sell you an “ITIL-compliant” solution of some description. Maybe you’ve been tasked with “implementing ITIL processes” or adopting a more “service-centric” way of working in your team or department. But what does it all mean? In the Beginning there was Technology - lots of it. Up until a few years ago, IT was about technology. Designing, building, supporting, enhancing and everything else was all about making sure that the servers, networks, databases, data storage or any of the many components which made up IT infrastructures worked as well as possible. Datacentres were organised by technology “silo” and each area had its own people specialising in that particular technology. Monitoring, measurement and reporting and perhaps even service levels were all focussed on making sure that, for example, critical network links never went above 80% utilisation. Or that there was always enough storage space on the fileservers to cope with the amount of data being saved by users. As well as all that infrastructure stuff there were applications (not that some people in datacentres seemed to notice). Usually, these were the responsibility of a completely separate group within the IT department from Infrastructure and the focus was entirely on requirements analysis, development of elegant code and functional testing to ensure that the code did what the requirements said. Once that was done the apps would be thrown over the fence to the Datacentre guys and the next interesting development project would begin. Everybody was happy. Well, almost…. As IT environments grew ever more complex and more and more money disappeared into them, the people who used the applications which ran on all that expensive infrastructure began to ask why they never seemed to perform properly or do precisely what was required to support the activities of the business in question. Or why, when new applications were released, something important like training the users in the new application always seemed to get overlooked. At the top of the pile, business management started to complain to IT management that the systems just weren’t delivering to the required level, no matter how many charts they were shown of servers performing well below maximum CPU utilisation. In fact, exactly how much value were they getting for all that cash they were stumping up to fund the annual IT spend? The problem was that, although all the component parts of IT may have been working fine in isolation, overall they were failing to provide the right services to the business users. In fact, for the most part, nobody in IT really knew what the right services were in the first place. As a rule, IT users don’t care about servers, databases or storage; what interests them are activities like sales, order processing, accounts, despatch and so on and the applications which they log on to and use to perform these business activities. Basically, IT was missing the point – effective management of technology silos alone was never going to deliver the right IT services to the users. IT Service Management (ITSM) was born out of the frustration of user departments with the quality of service they were getting from IT. As a recognisable discipline it originated in the late 1980s as a result of the Office of Government Commerce (OGC, formerly the Central Computer and Telecommunications Agency) in the UK being asked to do something to help the British public sector get better value from its IT investments. The result of this investigation was the IT Infrastructure Library (ITIL), a set of vendor- and technology-independent best practices and process guidelines based on received wisdom within the IT industry at large and, importantly, what was observed to work well by the OGC in the organisations it studied. ITIL was released into an unsuspecting IT industry in the early 1990’s. For several years not much was heard of it; this was, after all, the decade when everyone was busy getting rid of their mainframes, midrange computers and terminals and replacing them with cheaper, easier to implement and more agile distributed computing infrastructures made up of PCs and minicomputers talking to each other over IP networks. In a way then, ITIL appeared at exactly the right moment, it’s just that nobody realised it at the time. By now we are all familiar with the headaches of managing complex distributed IT infrastructures and the applications they run to support IT services. Had it been adopted by the industry at large from the outset, ITIL could have saved everyone a whole lot of bother. ITIL is published by the OGC as a set of manuals which give detailed information on a number of important IT practices down to the level of checklists, tasks, procedures and even roles and responsibilities. The areas covered by ITIL, divided into Service Support and Service Delivery are summarised in the following section. Unless you’ve been living under a stone for the past few years you’ll recognise at least some of them and appreciate that they encompass most of the things that should probably have been thought about at the same time as the rush to distributed computing was under way, in order to keep it all manageable to at least some degree. Provides a central interface and point of contact between users and IT, handling incidents reported by users and requests for new services and acting as the interface into other processes as required. Provides a means of restoring normal operation as quickly as possible following a service impacting outage, if necessary by effecting a temporary fix or workaround based on previous experience. Manages the risk associated with changes to any part of the IT infrastructure to ensure that the desired outcome is achieved without adversely affecting the service in question or causing any unforeseen knock-on effects. Considers everything that needs to be done to ensure that a major release (such as a new application rollout) in to the IT infrastructure is successful, including support staff and user training, documentation, operational handover, testing etc. Seeks to manage the configuration and versions of all technology components, applications and other IT assets IT assets, providing a logical model of the IT infrastructure and the relationships between “configuration items”. Defines expected levels of IT service, documents these in service level agreements (SLAs) implements monitoring and reporting to measure achievement of these and seeks to “design in” the ability to meet SLAs from the outset of IT projects. Does everything possible to ensure that IT services are available at the required times to the right people, including designing for resilience, monitoring and reporting service availability and process optimisation for availability. Performs continuous monitoring, analysis and optimisation for production IT services to ensure continued delivery in line with SLAs, supports predeployment performance testing and optimisation and assesses the impact of changes on service performance. Provides guidelines for effective IT financial management including recovery of costs through usage-based charging. Having read the above list you’re probably thinking that this all makes perfect sense and is just what every organisation should be doing in order to manage its IT resources and services effectively. In practice, however, it can be difficult to do all this stuff well and every organisation has different specific requirements depending on its technology, people, processes and culture. Where ITIL scores is in the fact that it doesn’t dictate a standard way of doing things using specific tools. Rather, it recommends best practices that are pragmatic and can be tailored to the requirements of virtually any organisation, large or small, which makes use of IT to go about its business. You can even leave bits out if they’re not relevant to you. Fantastic! It’s this flexibility and pragmatism (or put another way, a common sense approach) which has seen ITIL adopted the world over as the “industry standard” framework for managing IT as a service as opposed to a set of technology platforms. Simply put, ITIL works. If someone had packaged it up and sold it they’d have made a fortune by now. Luckily, ITIL is in the public domain; for a few hundred pounds an organisation can buy the OGC manuals and off they go. An active ITSM community with its own representative body, the IT Service Management Foundation, constantly shares information and promotes the wider application and further development of the best practice guidelines which make up ITIL, and there are now recognised professional qualifications for individuals who are involved in application of these in their own organisations or provision of ITIL consultancy or related services. In many cases, an ITIL qualification or accreditation of some kind is becoming a requirement rather than a nice to have when looking for that next position in IT, the clearest evidence of all that IT Service Management is here to stay (for a while at least).